The recommendations of The Pain Management Best Practices Inter-Agency Task Force are creating quite a bit of conversation among pain physicians and advocates. The recommendations, which are still in draft form, are open to public comments and the U.S. Health and Human Service is anxious for people to read the recommendations and then to comment. Here is the draft report. (click here). 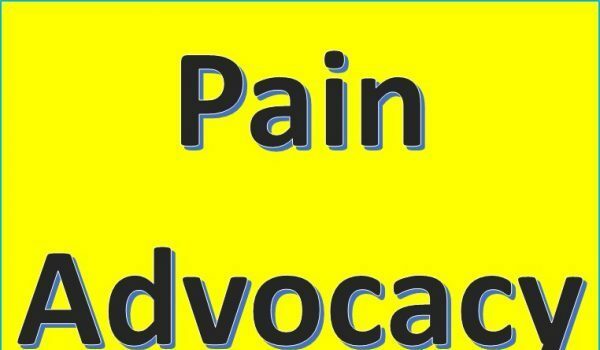 Speaking to a number of pain advocates, the draft recommendations are gaining praise for their thoroughness (although everyone has a nit or two to pick). Regarding how to comment, the U.S. Pain Foundation is sponsoring a webinar on Wednesday to help people understand how to most effectively participate in the public comment section. To register for that webinar which will be held at 1 pm Eastern time on Wednesday, please go here. 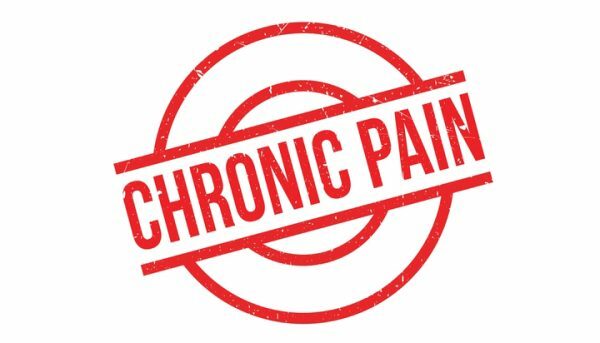 Today, according to the task force, chronic pain affects an estimated 50 million U.S. adults, and as many as 19.6 million of those adults experience high-impact chronic pain that interferes with daily life or work activities. Another item that was highlighted in the report that is of interest to the National Pain Report audience is it acknowledgement of the growing rate of suicide among chronic pain sufferers. Public comments submitted to the Task Force show growing consideration of suicide resulting from unrelieved pain and in some cases lack of access to treatment. According to a recent CDC report using data from the National Violent Death Reporting System, the percentage of people who died by suicide who also had evidence of chronic pain increased from 7.4% in 2003 to 10.2% in 2014.18 Numbers from this data set beyond 2014 are not yet available. This finding leads to the rising concern that a recent trend of health care professionals opting out of treating pain has contributed to an existing shortage of pain management specialists1 and is leaving some patients without adequate access to care. We will say that this report is a serious effort to rebalance how chronic pain is treated. We encourage you to read it and to share your comments. I have been a chronic pain management patient for over 13 years and I was really glad that I was able to walk and function with a minimal amount of pain and last year that started to change with the new policy so I was told that I would have to taper down to what would be a acceptable level of pain medicine but as I was tapered below 90mgs a day I started to call and let my doctor know that the taper was causing me to feel severe pain and I kept calling only to be told that because I kept calling that they were going to taper me off and in December 2018 I found myself having to go back and forth to the Er only to be given a pain shot and sent back home. I have called the crisis line and have since returned to the Er again to be treated in the same manner and sent back home. I have had my cries for help fall on deaf ears and I feel that it’s just a matter of time before I become another suicide tragedy cause the severe pain that feel is greater than the pain that I will cause my family. As for PDMP’s, where Texas is concerned, they destroy lives. In August 2018 I had a PM check mine and as a result I was red-flagged before my first appt. Why? They notated that I received 3 controlled substances from 3 different doctors in past year. So no medication, but well push that Kenalog into her spine! I am very consistent same doctor, same pharmacy, it didn’t make sense. 1. I receive Adderral for ADHD and Diazepam for anxiety, PM doctors count this although it has nothing to do with PM. 2. If you go to an ER and the Dr on call gives you a CS, now your report shows another Dr., so your a doctor searcher. THE 3RD DR? A DOCTOR I’VE NEVER INTERACTED WITH WHO PRACTICED IN SAME FACILITY AS MY DOCTOR PRESCRIBED A NARCOTIC TO SOMEONE UNDER MY IDENTITY! WHAT HAPPENS? NOTHING, i AM STUCK. ADDITIONALLY, WALGREEN’S SOLD IT WITHOUT CHECKING ID. **THE PDMP REFUSES TO REMOVE IT, NOT FOR ME AND NOT FOR THE DOCTOR. SO I HAVE SUFFERED FROM THIS WORTHLESS REPORTING SYSTEM! and nobody cares. 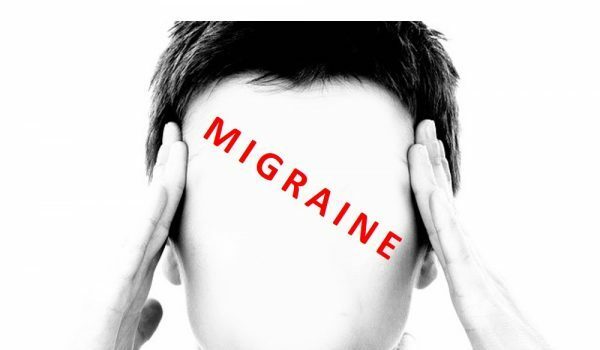 I suffered excruciating pain & migraine for almost 2 months after injection. Dr tells me I need a shrink. I try to find a different PM and get rejected because of PDMP and assumed dr searching and breach of PM contract, but didn’t have one- flagged remember. Debilitating, chronic, in tears pain and I’m just cast off to deal with it. There is absolutely no reason why I should have to live with this pain, this is the US, I have insurance, no potential for drug abuse (I see a therapist for the ADHD/anxiety & she is supportive). I have a MS in Criminology and would comply in any way I could to help deal with this “epidemic”, but not this. I am only further victimized by the “system”. So after spending over 10 years going through multiple meds and avoiding opioids, finally reaching out as a last resort and this is what I get. This is my life. Your on your own so deal with it. Thank you for not forgetting those of us that feel forgotten. I wish I could bring myself to cry to the federal government about how the federal government knowingly tortures folks like myself. I read a article today stating Drs call witch hunt on suicide reports. I personally lost a friend that was a denied pain patient and I know both parties involved. I’ve been through forced tapering from 500 mme down to a offer of 30 mme of medicine that no longer helped alone after my dr. stated they can no longer prescribe the pain patch. When I stopped the pain patch the 60 breakthrough percocet I did and could receive were not working. When we discussed this with Dr explaining I’ve been in bed, am going back to bed feel horrible, lose my will at times, he offered one of the new opioid medications for opioid with withdrawal 4.5 months after I stopped ALL opioid medication ON MY OWN without anyone knowing again due to the 60 breakthrough pills not working alone and no replacement medication for the patch.I’m not having withdrawal symptoms I’m a pain patient that has been involuntarily removed from any realistic help. I refused any newer opioid medicationI feel is unsafe for my reasons and was told they have nothing left to offer we tried it all. What we tried morphine , percocet and fentanyl that’s all. 6 months ago offered nothing but the remaining 30mme of medicine I stated wasn’t helping, now I was again offered this and only this medication. I went home in the same boat with the same paddle. I truly feel like they are sending us home to die! I only asked for help and took the mediction to the best of my ability and am grateful for the years of help I’ve received until my Dr started running scared by design. Public comments will justify the PMTF from claiming they heard from stakeholders. But like the National Pain Startegy and reports on pain management by the NAS and independent report on pain mgmt. paid by NIH- its only too clear that government cares very much for experts opinions and cares little for the opinion of people in pain or nonexperts. Note well, how govt asks for documentation. I sent 125 of documentation on problems in research and pain care- from well known journals- and all within 5 years- relevant reliable and upto date info- the PMTF not only didn’t publish it but denied two FOI request I made. So its clear the PMTF cherry picks whose ideas they are willing to hear from and whose they will not consider. Is there any rationale behind such- of course none has been made explicit. If govt was concerned about multistakeholder involvement they would not have chosen 28 experts and one person in pain on the PMTF. Moreover, they beg the question- if experts are qualified to develop pain mgmt. guidelines- why has such failed in the past? They have also failed to lower the prevalence of pain- in fact the original draft of the NPS and the PMTF don’t call for that. So what is the goal in terms of outcomes of the PMTF? Clearly they don’t want to be held accountable to some patient oriented goal. No treatment to target, no lowering of pain scores, no improvement of functionality. The PMTF is a tragic farce whose goal is to reinforce govt and experts authoritarian hegemony over people in pain without improving the rights or just expectations of people in pain. The morally socially and politically regressive nature of the PMTF is only too apparent, And their boilerplate ideas- their technicism is regressive and nonadaptive. I challenge any and all of the PMTF to prove otherwise. But those paradigm bound autocrats clearly aren’t ready for a real discussion on the issues. I am not surprised that everyone will be pointing fingers at chronic pain patients, thinking we are the founders of the “opioid crisis”. But in my opinion that couldn’t be farther from the truth. I’ve been on opioids for almost 18yrs, & I am 46. I did not by any means ask or want to be reliant on pharmaceuticals just to survive, but what exactly are my options? I have tried every alternative therapy, most not covered by insurance, & ended up in debt. I finally find a fabulous doctor in it area who was willing to take on my case, only to have her decide to jump ship & move to another state. She expressed her feelings regarding WA States drug laws, & how in her opinion she couldn’t properly treat her few pain patients. I then find another physician, who now states he is no longer going to be treating chronic pain patients as well. My current doctor has looked into trying to locate a physician willing to treat me, only to come up empty handed. I am scared to death that now I will be without a doctor, without my medication, & basically am at the end of my rope. It doesn’t make any sense to be punishing those who follow the drug guidelines perfectly. I just don’t know what to do, & how I’ll survive. Thank you, Ed Coghlan. I sincerely hope that this Draft will mark the beginning of a more measured, common sense approach to chronic pain, although I admit that I’m not as optimistic as I wish I were. Such a demeaning experience it can be these days to obtain a low dose of the mild opiate I’ve used responsibly for years, and I recognize that I’ve been fortunate so far! This med means that I can get out of bed, stand upright more or less, walk, care for myself/my home and live mostly independently. Now enter the fear factor–how long would I be forced to live, with pain but without functionality, if government overreach continues to prevail? I would estimate that many chronic pain patients are 60+, and the overwhelming majority had nothing to do with the “opioid crisis”. Yet, older adults like me (82) for sure are paying the price of combating it. This situation exists largely because our self-righteous, punishment-oriented policymakers do (or will) not distinguish between “drug addicts” and those living daily with chronic pain. After reading Jan’s comment, I will wait to submit my input until Dr. Lawhern has reviewed and commented on the Draft. Another meaningless effort that will accomplish nothing. 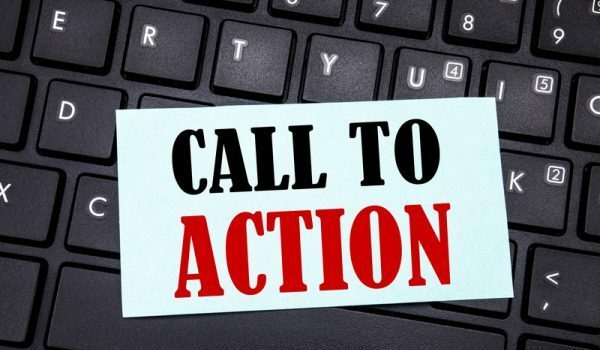 As long as the opioid crisis is perceived to be caused by legally prescribed medication , that all drug addicts started out by taking a 3 or 7 day prescription of Percocet and all the overdose deaths involve prescription meds, that CPPs popped an opioid without trying alternate therapies first, that we are in fact addicts that need to be rehabbed, and re-educated because we are too stupid to manage our pain and don’t we know that CBT can relieve excruciating pain, we are doomed. How do Iput my comments on the report? I downloaded the report but see nowhere to enter my opinions or statements. As i read everyine comments I dont need to write mine As i am in the same boat as you all are just in a different sea . Pain is hell Why should i continue to live in it alive .. They say we hurt others when we commit suicde and are being selfish. Really ? Well others are hurting me and they are not only being selfish they demean me deny me my rights etc. So who causing Us Pain ! I think it’s great to use alternatives to opiates to decrease or eliminate pain. However, I don’t think any legislators should be giving doctors guidelines on how, how much, or when to prescribe opiates. The doctors, especially pain management specialists, are the ones who know the patients and know the medications and how much and when to prescribe them. Politicians sticking their two cents into doctors’ area of expertise is the reason we have chronic pain patients not being stigmatized and not properly treated. WHAT IS IT that isn’t understood about the following statement:: Pain medication was my doctor’s FINAL attempt at helping my pain!! This means, for all those who cannot understand-ALL OTHER avenues were traveled, all “experiments” (for lack of a better term) were endured. I FINALLY, after YEARS of pain, was somewhat comfortable. I COULD function. 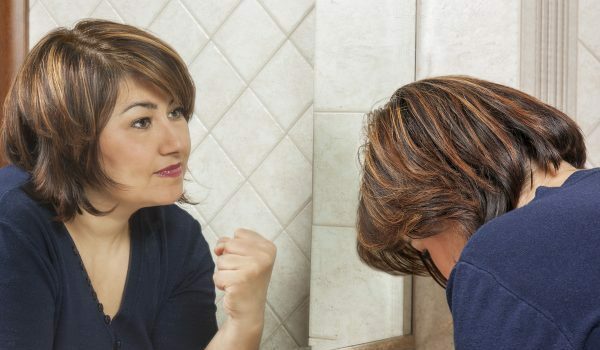 You are just being bullies, because you KNOW many of us are TOO weak to fight!!! For the first time since last October I finally have hope that help is on the way for TRUE Chronic Pain Patients. I was in an accident caused by a drunk driver in 1983. I’d only been 21 a month and 5 days. I’ve had 6 lower back surgeries, 2 cervical disc surgeries with a titanium plate and 6 screws in place and have had BOTH hips replaced. The car rolled 3 times, the passenger seat broke and each time I hit the highway. Thank GOD we don’t have cancer or any other terminal illness, but we ALL deserve to have as much quality of life as possible don’t you agree? I’d been on the same dosage of opioids for 9 years, I hadn’t built up a tolerance to it at all. It gave me back the one thing I’d missed the most….QUALITY OF LIFE. Sadly, I DO know that there are those that doctor shop, are drug seekers and want opioids for ALL of the WRONG reasons but PLEASE don’t put us ALL in the same category. My doctor completely abandoned me in Oct 2018, only 7 WEEKS after having my left hip replacement surgery. I was unable to finish doing what I needed to do in order to strengthen my hip. She didn’t do a medical wean down, in fact, went so far as to say she wasn’t OBLIGATED to do one! I’m at a great pain clinic now, with a great Pain Specialist that is doing his level best to give me back my quality of life and things are going really well. There are THOUSANDS of us that not only have no access to the medication we NEED, they’re unable to find any help whatsoever. In situations such as these the CDC and any other government office that CAN, will step in an make the necessary changes so they don’t turn to the illicit street drugs with, God only knows what in them so they won’t either accidentally overdose OR commit suicide out of FEAR due to not wanting to be in SEVERE PAIN day in, day out with no end in sight. I told my story for the draft of the opioid guidelines in dec 15 along with over 2000 other chronic pain patients. None of our comments were taken into consideration for the guidelines. That is the reason for this bs. I have been suffering for the past year and a half because of your failure to listen to us. I hope you can fix it, but I am doubtful. Does anyone have an ounce of empathy? This is the same old procedures, medications, surgeries, injections, nerve ablation, spinal interstim, mental therapy, physical therapy, contracts. The only thing different is Physicians wanting to group together & get more money from the insurance companies. This will not stop the negative attitudes of Physicians towards their patients or patient abandonment when the patient doesn’t get better or refuses certain treatments because it hasn’t worked. Just more bureaucracy. People who have chronic pain do not have the energy to run to all these different Physicians nor the money. I have read the new best practices, it’s same old stuff. You’re spinning your wheels & the people with chronic pain or either going to decide to die or choose a different option. They’re sick of their rights & dignity being taken away. We are adults & don’t need a psychiatrist to hold our hand & tell us when we need to take our medication or if we need to take medication. I suggest the pain management Physicians find a different job because people aren’t going to be lining up to fill their offices. Cara can pee down our backs and tell us it’s raining but we still know the difference. Chronic pain people have been through all these medicines & procedures & seen psychiatrist & still have persistent pain. Cara is not God & therefore will not know all the answers or reasons why someone has chronic pain. Just because someone has chronic pain does not make them an addict BC there are many people out there with no pain that are addicts, alcoholics, meth heads. They need to make people that drink alcohol sign up for all this best practices. It is racist profiling chronic pain people because we say this medication helps. We didn’t make the medication opiates, we’re just verifying that it does help the most. A very simple concept that has been taken out of context because of the overdosed Fentanyl addicts. Where’s the war cry on the alcoholics? No one needs alcohol. 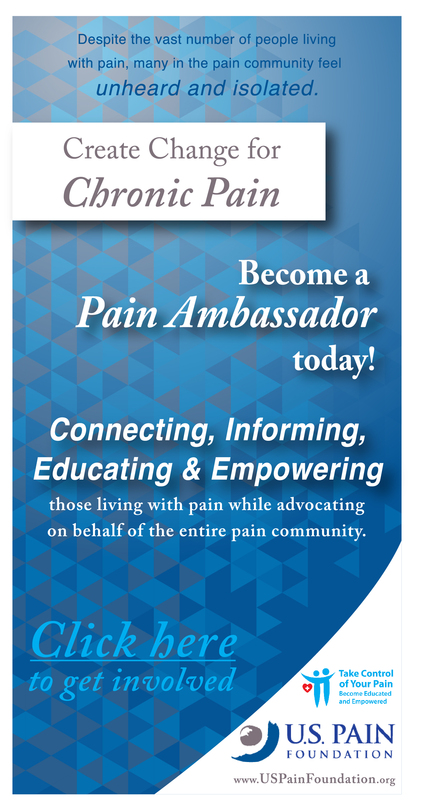 I just listened to the US Pain Foundation’s Webinar. It was really gives me hope. Cindy Stienberg is doing wonderful work she diserves a lot of credit. I’m very disappointed that I didn’t have the opportunity to appropriately comment on the HHS link you provided (thank you, by the way!) because a box popped up as soon as the link appeared, asking for my comments. I responded, of course, with my comment that I couldn’t comment without reading the articles first. Once again, government-1 chronic pain patients – 0. In addition, with the uptic in medical marijuana being used, available, it will become even HARDER to get a physician to write a script for any opiod. Dr s have an out now,,,, don t want the Feds on their back,,,, go get med mari card,,,,,,,!! Great,,, if it works,,, it does not work for me, takes away pain for an hour or more, then am feeling stoned for 5 more hours, with the burning of neuropathy returning,,,,am totally dejected, am 63, in good shape, but this chronic pain it taking away my quality of life,,, no interest or energy for the things I want to do. Yet another survey. Hopefully “this one” will make somewhat of a difference, seems as though the others didn’t do a thing. At least we tried. Thank you to all of those at the national pain report for giving us this information. Let us pray they do something with it this time! I also would still like to hear from Bernie. Bernie if you read this, please let us know you’re okay. I haven’t forgotten about you and I know the rest have not either. In the meantime, my prayers continue to go above for all of my brothers and sisters that have to live their lives in chronic pain. Does anyone REALLY think this is going tjo change anything?? I see the term biopsycosocial being used, and “hear” ,,, you will not be getting ANY opiods ever again, never, not even if you are in devastating pain 24/7, and nothing else has worked. We are being judged psycologically, socially, not by if we are in pain and need to have what HAS been working. We are the victims of this War started by overzealous people in power who have MOST Likly never suffered in the way we are! How many on this Council have had ANY expiereinces of living with chronic pain on a day to day basis??? Knowing that there IS a way to alleviate my pain, and being denied it, is absolutly demoralizing, I for one , have NO respect nor trust in anyone in the Medical prodession anymore. I will be following. Unless you have Chronic Pain, you just can not understand. CPP are NOT misusing or they would have overdosed a long time ago. The deadline to comment is April (90) days and while I don’t want people to wait too long to comment, please wait until the end of January, because Dr. Richard “Red” Lawhern will have read it and composed his comments on the problems with it. He will then publish his comments and everyone should read what he has to say, so that they know the real problems and issues in this draft report. You can Google him at lawhern@hotmail.com. Please don’t copy them word for word or they will be discounted. Put it in your words and add your own comments to it. Why doesn’t this article give instructions to readers as to how to comment on the draft report? Not everyone can register for the webinar, or will read this in time to do so. The lack of such instructions is a glaring omission here. Simple instructions telling us how to comment will be most welcome.Maybe tomorrow? 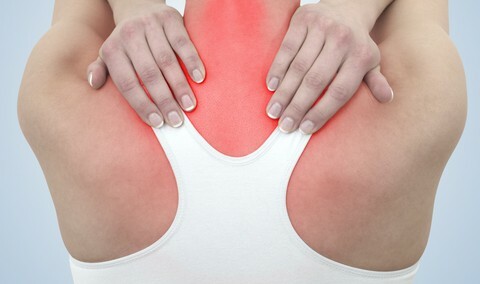 I have Intercostal Neuralgia and was diagnosed in 1998. I had numerous procedures including nerve blocks, steroid injections, cryo ablation and manty different medications. Finally the doctors found that methadone worked best for my pain. I was prescribed 50mg 3 times a day. This worked for me and I was able to live a decent life. I have never had a dirty urine and never raised any red flags. In Jan. 2018 my doctor dropped my dose 60mg overnight. I was in horrible pain and went threw withdraw and they offered no help. I lost my job. I was so sick I couldn’t do anything but cry in pain & sickness. Now they have lowered my dose to 50mg per day and are going to 40mg per day next month. I am hurting so bad and they just look at me and say there is nothing we can do. One doctor told me to go to a methadone clinic! I am not an addict. I am a dependent. I don’t understand how a patient who has a perfect record can be treated so poorly. I really need help. I have looked for other doctor’s and no one will help me. I am now severely depressed and thinking of ways to end my life. I can’t go on this way any longer. Please change these laws so people like me can get the help we need. I will probably be gone by the time this is changed, but for the sake of other’s please let doctor’s choose who is in need of pain meds and what type. Chronic pain sufferers should not have to pay a price for what addicts have done. While this report is a step forward, there are some glaring omissions. These include not one mention of medical marijuana or kratom, two natural substance that are safe and effective for both pain relief and opioid withdrawal. The federal government seems determined to keep marijuana illegal and to ban kratom, most likely because of being in bed with the pharmaceutical companies. The other glaring omission is the lack of a recommendation to require insurance coverage for alternative treatments. Insurance companies, who also appear to be in bed with the pharmaceutical companies, are not going to cover these treatments unless forced to do so. I am a chronic back pain patient…. My first back surgery was done when I was 35 years old. I ended up having 3 additional surgeries, L5 S1. I am now 60 years old, there is very little disc matter in L5/ – L4 is bulging…. I saw a surgeon who said there was nothing that could be done for me due to Scar Tissue. Arthritis – I was a PAIN MANAGEMENT patient. I went – 2 pills turned into 3, I managed my pain with the pills and Marijuana…. I was KICKED OUT OF PAIN MANAGEMENT because I tested Positive for Marijuana…. I no longer can get a pain pill, which would help because the COST of Medical Marijuana is outrageous!Q. OUR GOVERNMENT NEEDS TO WAKE UP! I will be participating in the webinar today at 1 PM. How we answer the questions in this survey is important. We must not sound like drug seekers…, but at the same time we are struggling with minimum or no pain medications. That’s Problematic! Everyone should participate in the survey, and all surveys if possible . Can’t stop fighting until this modern day orchestrated genicide is stopped. Lately, all we hear about is how many deaths are attributed to opioids. Has anyone performed a deep dive into those deaths? For example, how many of those people that died from an overdose were given a prescription with no medical need for the prescription? How many of those who died, actually had a documented need for that particular prescription? How many had a documented mental history of addictive behavior directly related to opioids? How many of the people that died had a criminal background of drug abuse/use/possession or distribution? Now ask how many of those opioid overdose deaths were actual documented chronic pain sufferers. My point is simple…it is not fair to lump everyone in one boat to advance a plan that could possibly cause more harm to patients that have actual documnented chronic pain. It is not fair that the government is using fear to control how physicians treat their patients or even if they continue to treat them at all. Finally, ask what the stats are on chronic pain sufferers that have committed suicide because they can no longer receive the only thing that gives them any sort of quality of life because someone in the government thinks that all individuals that receive opioids are abusing them. What are those stats? Serious as a heart attack. I am Up all night again with pain made unbareable due to federal mandate. More wholistic approach? The suicides are all preceded by henious torture.until death was the only option. Ed, many people wont be commenting. They are wholistically dead. I think commenting period is just a federal smoke screen. They have planned on our deaths. No funny intended.